No action, no risk . . . | A balanced diet . . .
No action, no risk . . .
A few days ago I was out and about on my (almost) daily walk, and later I posted a comment on Facebook about the autumn colors that a number of trees are now showing – especially the sycamores, but also some horse chestnuts (Aesculus hippocastanum). Now whether the changing color of the latter is due to the onset of autumn or the spread of a leaf-mining moth, I’m not sure. Anyway, seeing these horse chestnuts reminded me of a news item I’d come across a couple of weeks earlier that conker championships were under threat due to the lack of suitable nuts. 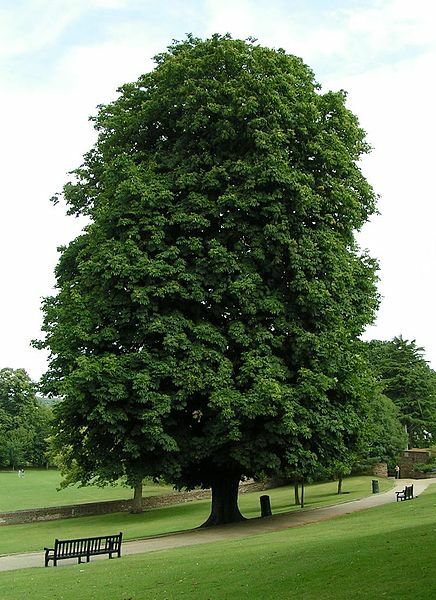 (Conkers – a traditional game in the UK – is explained here). But what did I see as I wandered down a hill close to where I live and where my two daughters went to Middle School? There, right in front of the school, was a large, healthy-looking horse chestnut, abundantly laden with fruits, just waiting to be harvested by enterprising young boys. That’s if the health and safety brigade let them. In recent years ‘the authorities’ have banned children from playing conkers – or at least made them wear safety goggles – in case they are hurt by a fragment of flying nut. This made me think about how risk averse society has become. When I think back to my youth – indeed when I was very young, 5 or 6 years old – what freedom we had to go out and play, and get into all manner of scrapes. Society has changed, and parents are – with some justification – concerned for the safety of their young ones. It’s almost unknown for parents to allow their small children to walk to school by themselves. In the early 1950s, from the age of 5 (when I lived in Congleton), I used to travel daily with my older brother Ed to our school in Mossley, just under 2 miles from home. In the summer, we’d often walk home another route by ourselves. Nevertheless, I accept that times have changed – significantly. There’s so much more traffic about and, unfortunately (in the UK at least), there has been a spate of incidents involving unsavory individuals preying on young children. No wonder parents are worried, afraid even. But do we mollycoddle our children? And is society or officialdom guilty of constraining the need for individuals to take responsibility for risks? Assuming, of course, that we understand what the risks might be in the first place. Actually, I think official concerns about risk often have more to do with a fear of litigation than concerns for the health and safety of the individual. Well, a few years ago, as Director for Program Planning and Communications at the International Rice Research Institute (IRRI) in the Philippines I had to plan and develop a risk management strategy for the institute. Why? Well the donors to IRRI, members of the Consultative Group on International Agricultural Research (now the CGIAR Consortium), insisted that each of the 15 centers develop a risk management strategy and report back to donors about potential risks – financial and operational – and the measures they intended to put in place to mitigate such risks. I have to say that the whole concept of risk and its management was a bit of a mystery to me. In reality I’d never consciously given it much thought. But as I became engrossed in all things risky, I realized that we all – quite intuitively – assess risk all the time. When I started the whole exercise my mind was focused on financial risks that the institute might encounter. But as we delved deeper, I soon became aware that every aspect of what IRRI did – as with any organization – was subject to risk in some way or another. And the only way to eliminate a risk was never start something or terminate activities currently being undertaken. However, that approach, for a research institute like IRRI, is just not acceptable for much of what it does. So we decided to complete a thorough, bottom-up analysis of every aspect of the institute’s work involving as many of the staff as possible analyzing and understanding all risks in the workplace. In some other centers, a group of ‘wise men’ sat down and discussed what they thought were the main risks they were facing. We decided this top down approach was not appropriate for IRRI. In any case we wanted everyone to participate and understand that risk management starts with the individual. This was not a task I could undertake by myself. I was fortunate that the CGIAR Internal Audit Unit (IAU) was hosted by IRRI, and based in an office just down the corridor from mine. At that time, the IAU was headed by Australian John Fitzsimon (who became a good friend of mine – and who taught me a good deal about the need for and workings of internal audit). John has subsequently left the CGIAR and is now based in the Food and Agriculture Organization (FAO) in Rome as its Inspector general and head of internal audit. Over many discussions John and I developed a framework to analyze and document risks at IRRI based on two simple criteria: impact of a risk actually occurring, and the probability that it might occur, based on a simple score of High, Medium, and Low. Our next decisions were concerned about how to manage the whole risk assessment exercise and what database system to adopt to document risks and their mitigation. I was fortunate to hire two exceptional individuals. To handle the risk assessment on a day-to-day basis, we appointed Ms Alma Redillas-Dolot, a Certified Public Accountant, a Certified Internal Auditor, and a Certified Information Systems Auditor. Alma worked tirelessly with the various IRRI organizational units to complete risk assessments and develop mitigation plans. By the time Alma moved to the CGIAR Internal Audit Unit (she subsequently moved to Nairobi as head of internal audit for the Alliance for a Green Revolution in Africa) we had built up a rich dossier of risks across the institute, and sorted them into risks common to several units, so that we could develop unified mitigation plans. I believe this detailed approach served the institute well, and was received well by its donors. It also permitted the Board of Trustees to focus on the ‘high’ risks. By its very nature some work will always be risky – you just have to have the right mitigation plan, just in case. Alma is currently studying in the Kennedy School of Government at Harvard University for her master’s degree. After I set up my Office for Program Planning and Communications in May 2001, I hired a talented information systems and database developer, Eric Clutario, in December 2001. Not only did Eric develop – based on my perceived needs and ideas – a sophisticated project management system (still among the best in the CGIAR, despite the development of a new approach across centers) but working with Alma and me, Eric very quickly developed an online system to log risks and mitigation approaches that could be accessed by everyone at IRRI, which allowed the different organizational units to work independently yet permit the central risk management group (Alma, Eric, and me) to monitor and edit, and produce the necessary reports for the Board and donors. I can’t remember exactly when we became concerned about a possible avian flu pandemic – it was the mid-2000s. Well, we analysed the threat for IRRI, and what we could do in case it happened and staff became ill. We did two important things. Based on advice I’d found on the World Health Organization (WHO) web site, I persuaded management to make available a winter flu vaccination to all staff and their immediate families. This was a voluntary program, and not everyone participated. But we did vaccinate around 3,000 individuals (if my memory serves me correctly), funded entirely by the institute. While the winter flu vaccine was not effective against avian flu, it was hoped that protection against ‘normal’ flu would boost the overall health of staff; and if any vaccinated staff member went down with flu, it would probably be of the avian type, and a response made. I’m happy to say that we never did have to contend with avian flu as such, but the institute has continued to provide an annual flu vaccination program ever since, but at cost – purchasing vaccines in bulk has reduced the cost enormously for individuals. The second measure was a public health awareness campaign. In consultation with a local doctor, Dra Zenaida Torres from the Los Baños Doctors Hospital (LBDH – I was subsequently invited to open a new wing of the hospital in 2006! ), we emphasized the importance of hand washing, and doing it correctly! Incidentally, in an interview during the Olympic Games recently, Director for Performance of the GB cycling team, Dave Brailsford (who was also involved with the Tour de France winning Sky team) had spoken about incremental advances to performance, and cited maintenance of good health was important, and that correct hand washing was one of the critical components (were they so diligent in some hospitals). Anyway, we produced a video with the help of nurses from the LBDH, which ends with a most amusing Filipino take on things. Enjoy. The video was also screened frequently for several months on the local community TV station in Los Baños. This entry was posted in On my mind . . . and tagged IRRI, risk. You may want to check out Jared Diamond’s Collapse, How Societies Choose to Fail or Succeed. It’s a very good book. Thanks Alma – I’ll look for it in the local library. With the passing of Sandy, there’s been quite a bit on the news over here about the need to have resilience in a business, an effective Business Continuity Plan, and to fully understand the risks that can beset any business, often outside one’s direct control – just like being affected by a hurricane or a typhoon. Just reserved it online – has to be sourced from another Worcestershire Library. I’ll let you know what I think after I’ve perused it.